Sonex offers a CNC machined aluminum Spinner/Crush Plate. 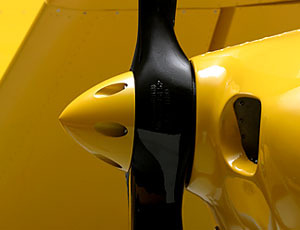 The integrated spinner and crush plate greatly simplifies propeller installation and eliminates the need for a fiberglass or sheet aluminum spinner that can depart an aircraft at high engine RPM. 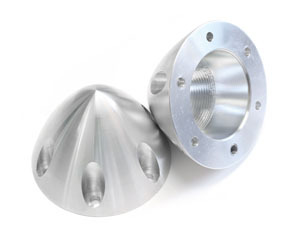 Hollow versions are approximately half the weight of earlier Sonex spinners.